prove satisfactory will be furnished. 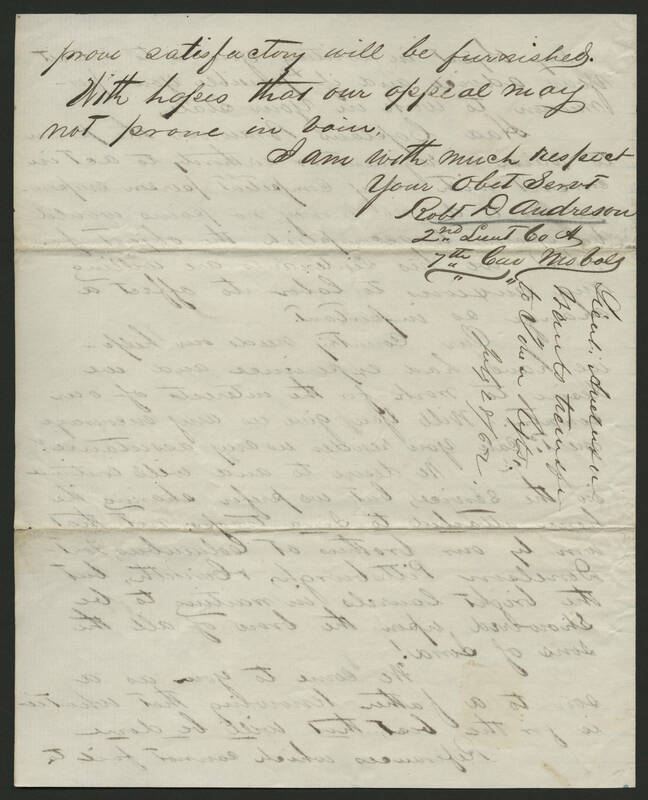 With hopes that our appeal may not prove in vain, I am with much respect your Obet Servt Robt D Andreson 2nd Lieut Co A 7th Cav Mo Vols Lieut. Andersen wants transfer to Iowa Regts. July 28 /62.